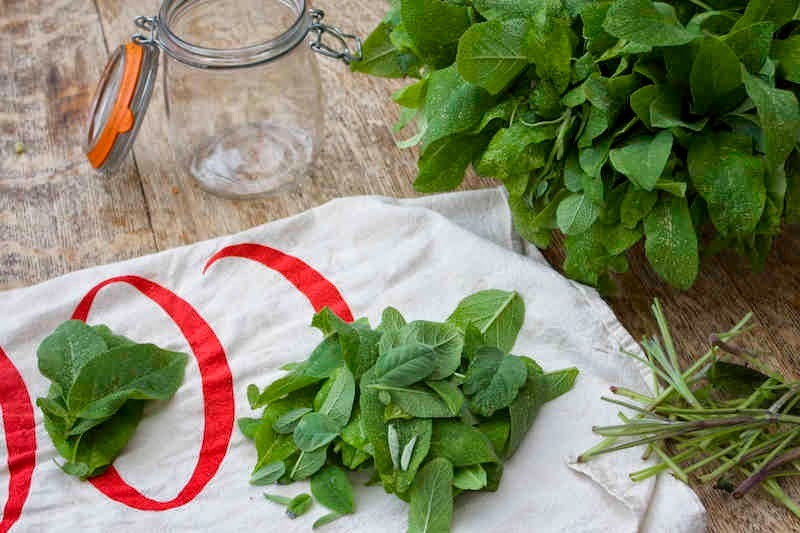 • Wash and dry your sage very thoroughly. • Trim the leaves from their stems. 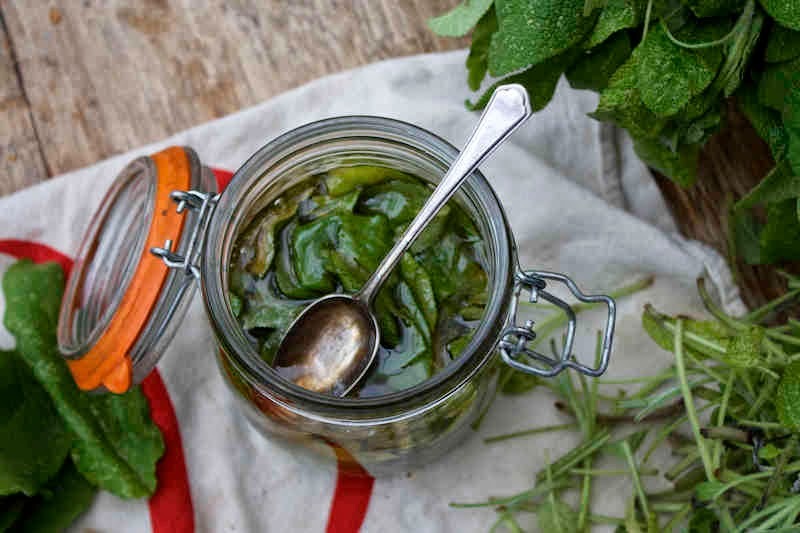 • Pack the sage leaves into your glass jar, and pour the honey over. It will take a while for the honey to ooze between the leaves and underneath them. • Stir it up with a clean spoon, and seal the jar. Stir it up daily and let sit for about a week. • (Optional) Remove the leaves, pressing all of the honey out of them. You can decant into a bottle that is easier to pour like this kind, or just leave it there and spoon it out as needed. 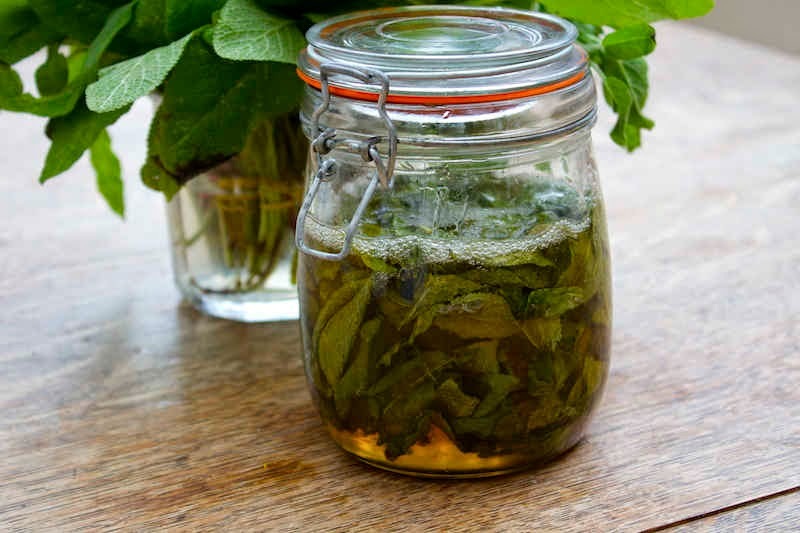 I am going to keep the leaves in the jar, and pull one leaf out at a time for cups of tea. • Administer medicinally in teaspoonfuls for sore throats and coughs, or stir a spoonful into a mug of warm water with a squeeze of lemon as a soothing tea. •Store tightly sealed in the fridge. It should last for a long, long time as honey is an excellent preservative. I used a ton of sage, because we have so much. I would guess at least two packed cups. I also used about two cups of honey. 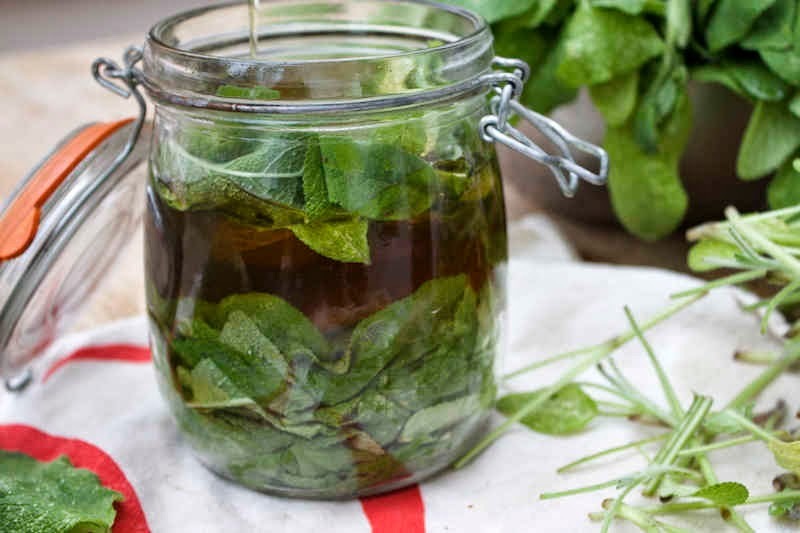 This is of course a very flexible recipe: more sage + less honey = stronger sage syrup, and vice-versa. Here is my honey about three days into steeping. You will notice that the leaves look more dried out. Also, the honey has thinned a bit with the addition of the moisture from the sage leaves. I recently spooned some of this sage honey over raspberries and cultured cream as a dessert– very good. You could also use it in cocktails (like this one.) I’m sure there are many more uses! The next time I whip up a batch, I’ll try adding thinly sliced organic lemons. 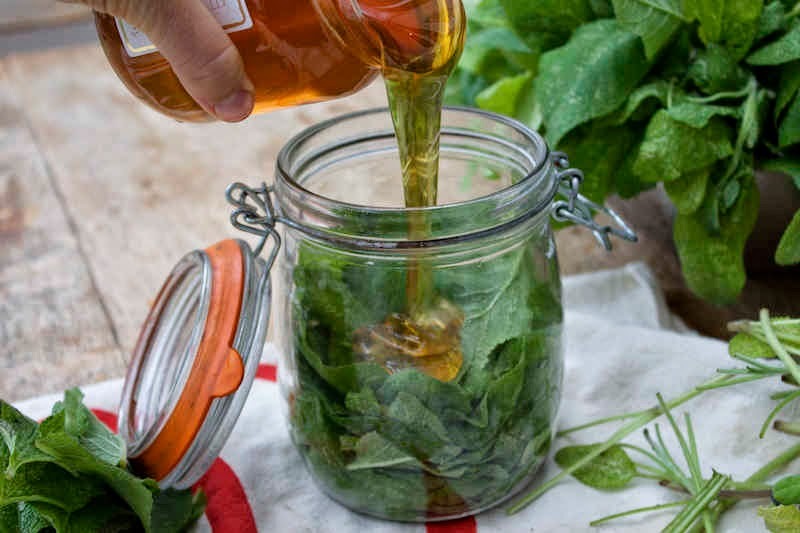 I hope you’ll be making some of your own medicine this year– this simple Honey and Sage Cough Syrup is a great place to start! You might also like to make this Elderberry Winter Tonic.